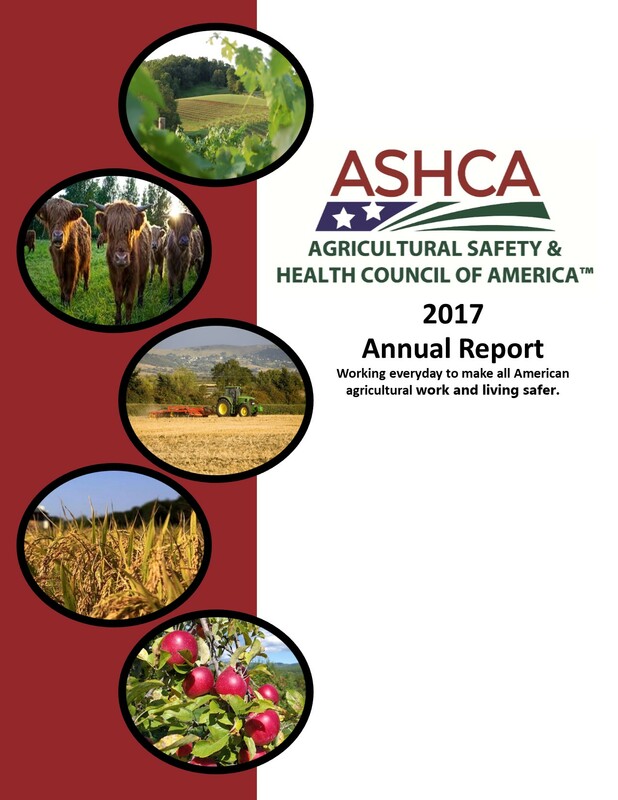 This 3½ day program kicks off ASHCA’s Agricultural Safety Health and Risk Management Certificate Program™. 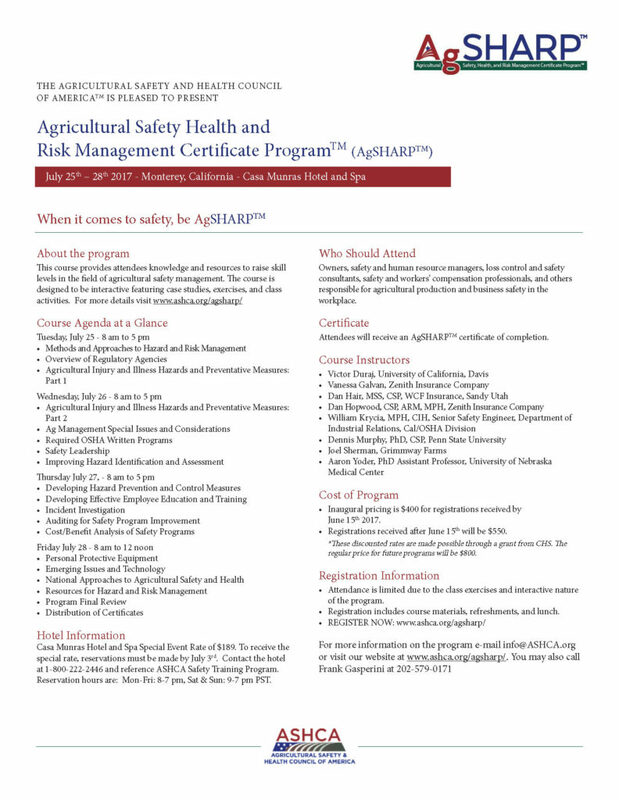 This course provides attendees knowledge and resources to raise skill levels in the field of agricultural safety management. 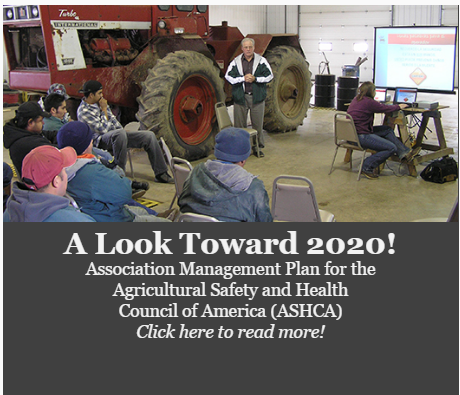 It’s designed to be interactive featuring case studies, exercises, and class activities. 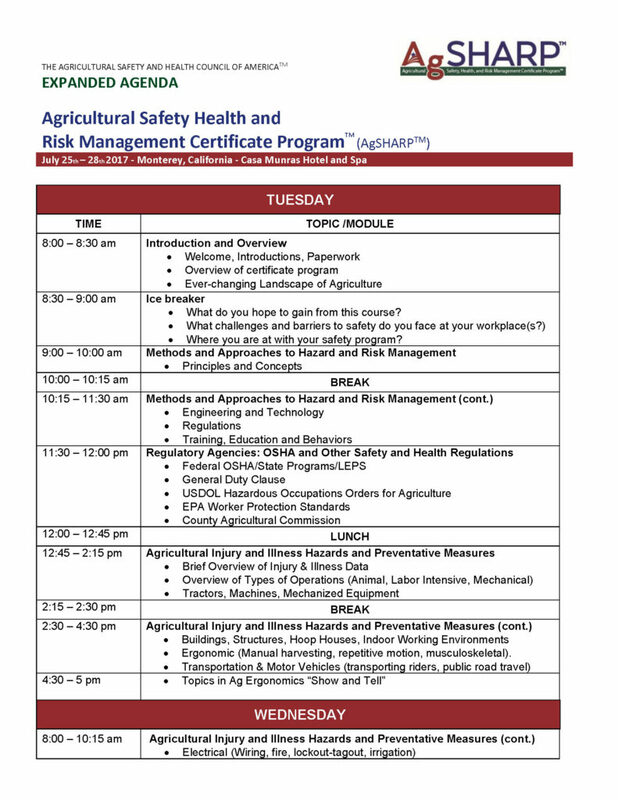 The program is geared for owners, safety and human resource managers, loss control and safety consultants, safety and workers’ compensation professionals, and others responsible for agricultural production and business safety in the workplace. Please note: We have reached our maximum capacity for this event. 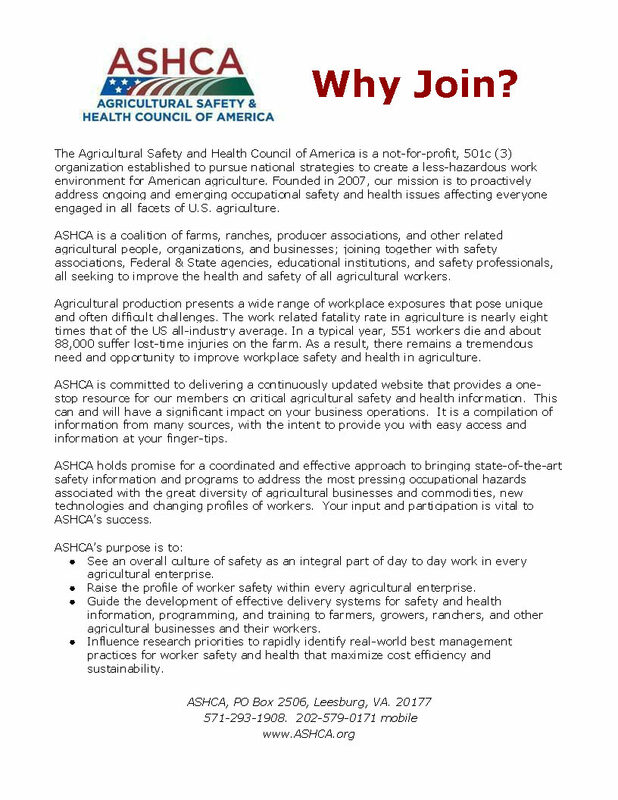 If you wish to be placed on our waiting list, please click here to apply. Should a space become available, we will contact you on a first come first serve basis. Thank you! 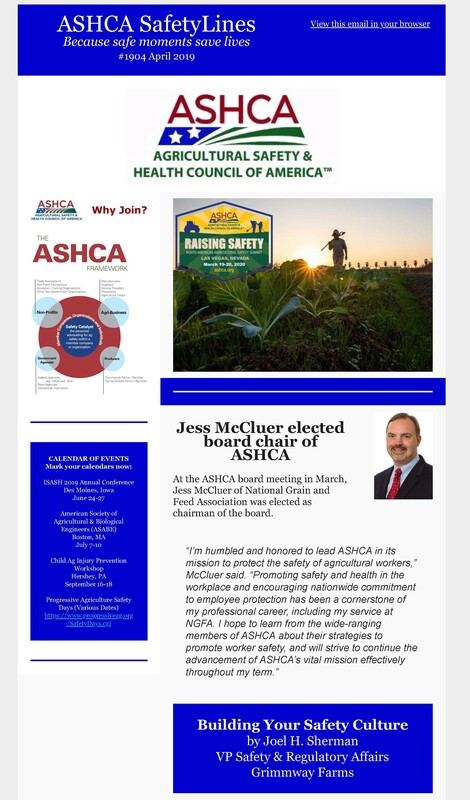 Click below to view the entire expanded agenda.